In Oregon’s outrageous tolling scheme, the Oregon Department of Transportation (ODOT) shares examples from around the country (and the world) of tolling and “congestion pricing.” Sadly, they’re only telling part of the story. Here’s more of what you should know. A five-member unelected board will make the final decision on which plan is submitted to the federal government for approval. The Oregon Transportation Commission (OTC) will also decide the amounts of the tolls. They’ll also decide where in Oregon, the money will be spent. It doesn’t have to be spent on either I-5 or I-205. Citizens understand that to be true because it’s been over 35 years since new freeway capacity was added to the region. The I-205 bridge opened in December 1982. Regional population has since doubled. The Portland metro region now has the 12th worst traffic congestion in the nation, with 35 bottlenecks, according to a report from the Kirkland, WA, data firm Inrix. In Seattle, WSDOT tolls both I-405 and state highway 520. What doesn’t ODOT tell you about these two tolling projects? On I-405 near Seattle, they built new lanes in each direction, adding much needed capacity. 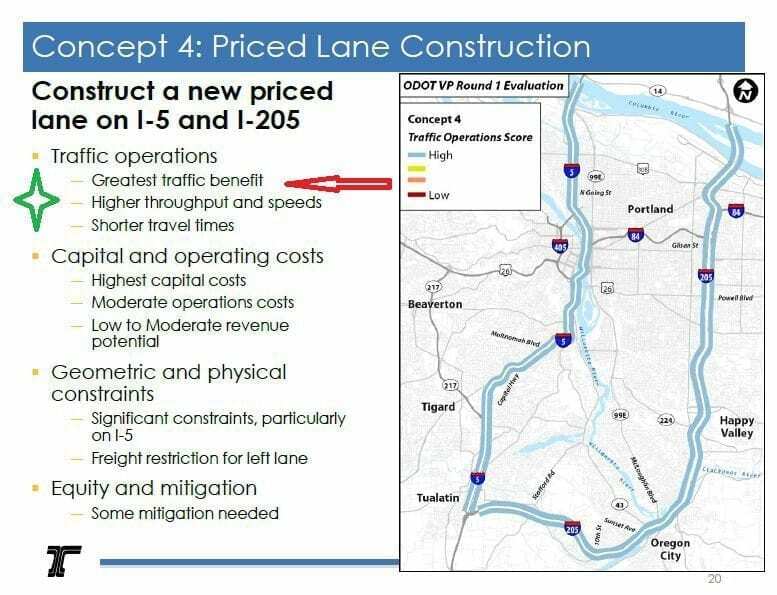 (The ODOT proposals won’t add new through lanes to either I-5 or I-205). Citizens were originally promised a new “general purpose lane.” Later, the new lane switched to a second HOV lane with tolls on both HOV lanes. Tweet also asked: “what percentage of tolling revenues will be paid to the tolling companies?” The Washington Policy Center estimated that collection consumed 40 percent of the I-405 revenue. That’s what I told the audience. That’s outrageously expensive in my mind. Washington State Transportation Commissioner (WSTC) Roy Jennings confronted me after the March County Council presentation. He alleged that my “40 percent” response was cherry picking; using the minimum “fee” paid for collection versus the minimum 75 cent toll. His own agency, the WSTC confirmed the overall “cost of collection” on I-405 was 35 percent. Apparently the WSTC vice chairman isn’t up to speed on the details of his own business. Both federal and state law requires cars in the toll lanes maintain an average speed of 45 mph or faster, 90 percent of the time during peak periods. I-405 fails this requirement. Furthermore, WSDOT apparently expanded the times labeled “peak periods” so that overall, the freeway met, or came closer to meeting federal standards. ODOT and WSDOT fail to provide any information about “traffic diversion” due to the Seattle I-405 or 520 tolls. But we know it is real. At the Feb. 28 ODOT tolling meeting, Clackamas County Commissioner Paul Savas reported that 50,000 vehicles are presently diverting due to traffic congestion in the Portland metro region. ODOT cites a congestion pricing program in Virginia. On I-66, the tolls began late last year. What ODOT isn’t telling people is that “so far,” the maximum one-way toll hit $47. Furthermore, at 5:30 a.m., when there was no congestion, drivers have been charged up to $8.50 to drive on a nearly empty road. The Oregon transportation plan and tolling were created by HB 2017. You’ll see references to Oregon spending $450 million on the Rose Quarter. We know this is the real bottleneck on I-5. 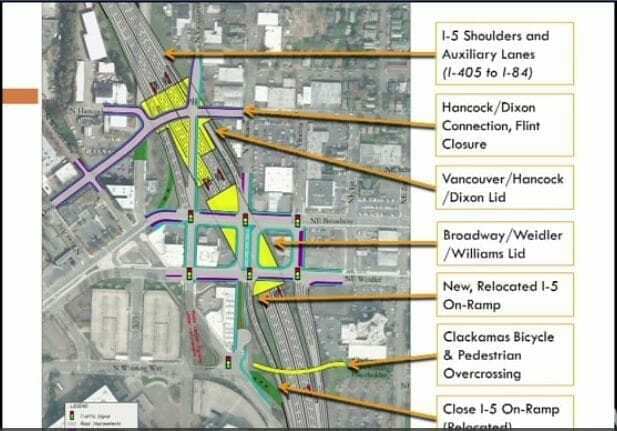 What ODOT and the media aren’t telling you is that half of the $450 million will be spent on “community redevelopment,’’ not adding lanes or fixing traffic safety issues. Why is Oregon spending transportation dollars for “community redevelopment?” It’s pork barrel spending, for sure. Two concrete “lids” approximately two blocks wide, will be built over the top on I-5 at the Rose Quarter. Additionally, a bicycle & pedestrian bridge will cross over I-5. It could cost “$30-50 million” according to an ODOT staffer. According to ODOT, this stretch of I-5 at the Rose Quarter boasts the highest crash rate of any highway in the state. It has three times the accident rate of the Terwilliger Curves. Part of the $450 million plan will add “auxiliary lanes” and shoulders to I-5. They will also move an on-ramp. While all this will hopefully reduce accidents by 30-50 percent according to ODOT, it will continue to have the “highest accident rate” in Oregon. This confirms the current proposal is “a band aid” and not truly solving either the safety or the congestion problems. But the greatest outrage of all, is how this “Value Pricing” Policy Advisory Committee (PAC) is or more appropriately isn’t working. The staff originally proposed eight options for consideration and discussion. It was a reasonable start. (graphic). 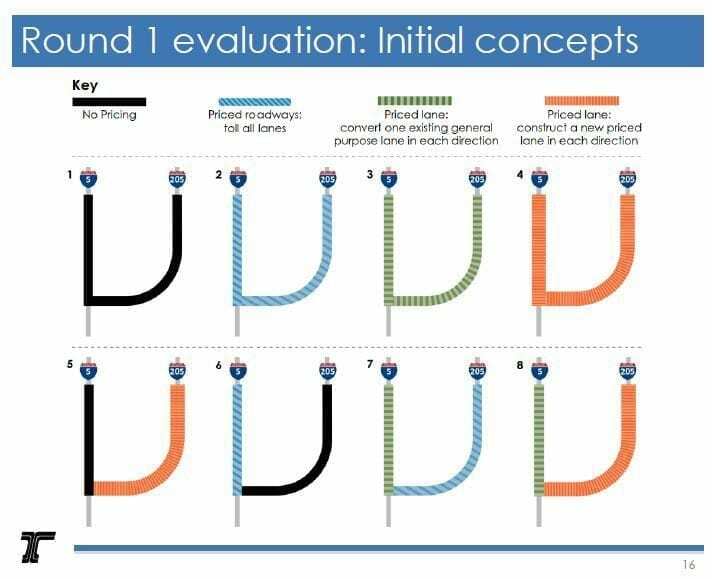 At the Feb. 28 PAC meeting, the ODOT staff and hired outside consultants, recommended narrowing the options down to four major choices, and one minor (unlikely) choice. None of the 25 PAC members got to vote or rank their preferences for the original eight options before they were reduced. The staff eliminated this from consideration due to the alleged “astronomical” cost. When asked by PAC members what the cost was, the staff didn’t have an answer. No costing models were done on any of the options. PAC members asked for numbers on traffic diversion for each option. No numbers were provided, as they didn’t exist. As mentioned above, 50,000 vehicles currently divert in the Portland metro area to side streets. It clearly becomes a safety issue for neighborhoods with that many vehicles using side roads and our cell phone GPS technology recommending alternate routes. Yet ODOT didn’t provide any data before eliminating several options. Besides not allowing the PAC members to rank their preferences in order on the original eight options, the staff failed to have the PAC vote whether or not to accept or reject the five recommended options they proposed move forward for further study. At the very end of the Feb. 28 meeting, PAC members were getting up from the table and leaving the room. The staffer running the meeting says: “we didn’t reach a consensus.” She then asks another staffer: “did we get enough input to move forward?” You don’t see or hear the answer, but the person asking says “okay.’’ The meeting then ended. This is an incredible study in government bureaucracy, which elected leaders have little to no say in final outcomes. This is how Oregon will impose tolls. Citizens should use this knowledge to make input to the next ODOT “Town Hall” here in Clark County. It will be Mon., April 30, 5:30 to 7:30 p.m., Marshall Community Center/Luepke Center, 1009 E McLoughlin Blvd Vancouver. Citizens should also communicate to Southwest Washington PAC members — Vancouver Mayor Ann Ogle, County Council member Eileen Quiring, and Chris Strickler of WSDOT. 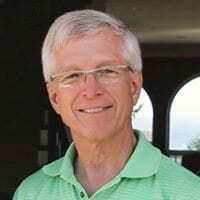 Camas resident John Ley is a citizen activist, passionate about keeping Clark County citizens informed on key issues.